First, I must say how happy I am sharing this experience of cooking through Joy's cookbook, Joy the Baker. I have met some of the nicest people. 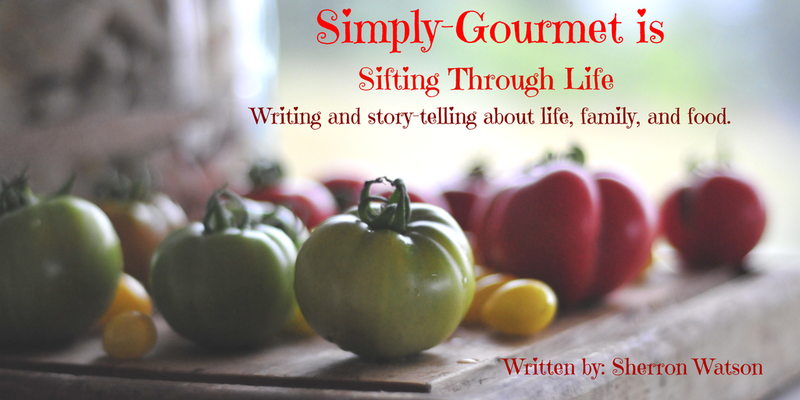 It's been fun to share our passion of cooking in an open forum. Share our ideas, thoughts and experiences of making the same recipe. I honestly did not know how much this experience would drive my love of cooking even more. 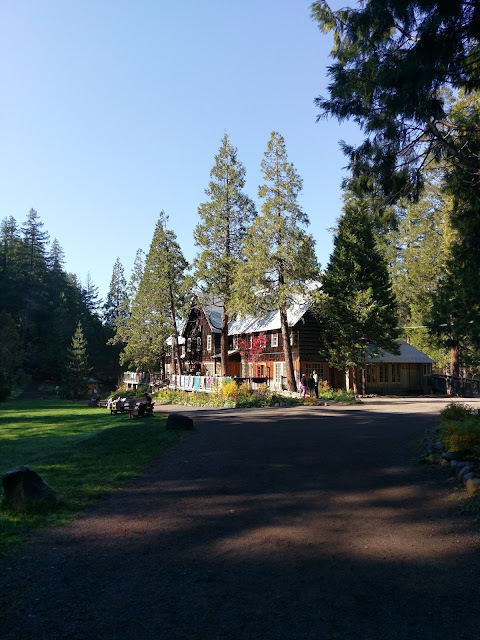 It's a positive experience being shared by passionate, caring people. We encourage each other, praise their work, offer guidance and laugh. This is the best part for me. We are silly and not afraid to let our hair down. I LOVE that! I have cooked with fresh blueberries before and my family does enjoy this fruit. In fact my 5 year old was eating them straight out of the plastic container. I was thrilled to see that of course. Blueberries are what we call a "super food" or a "power hitter" because they are filled with an assortment of health benefits. I found this site from the Blueberry Council to be an excellent source of information about the benefits of eating blueberries. A favorite in the media is Dr. OZ and he also has some great recipes to try that include blueberries. Blueberries are one of the foods that can be enjoyed in sauces, in drinks, in pancakes, as syrup, in cookies, on salads and fresh. I believe the list is probably longer than this, but this gives you a good idea of how user friendly this little blue gem is. Blueberries can be frozen, canned, juiced or eaten fresh. To learn how to freeze blueberries, go here. To learn how to juice blueberries, go here. To learn how to can blueberries, go here. To learn to make syrup, go here. Of course you can find all kinds of resources on the internet but I have used these sites before and have been very happy with my results. In our group, Sunday's with Joy, we made her Brown Butter Blueberry Muffins. I made two batches. The first one was a gluten free version. I used almond meal and this gave the muffin a whole grain look…brown with lots of texture. The conversion for making these muffins gluten free is below. Joy recommends 1 1/2 cups of flour. I used 1 cup of almond meal, 1/4 cup of white rice flour and 1/4 cup of tapioca flour (starch). For the topping she also recommends a combination that includes flour. I chose to add almond flour as the substitute along with a handful of oats. The oats will cause your muffins to not rise as tall in the center because they are heavy, but it does not make the muffin any less delicious. I did have to cook my muffins about 8 minutes longer and as usual with gluten free cooking, let them cool for a few minutes before digging right in. LOOK at those fresh blueberries baked into the gluten free muffin….hello deliciousness! After seeing everyone's beautifully topped Brown Butter Blueberry Muffins I wanted to try the original recipe too. I had just enough blueberries to make a second run at these yummy treats. These were incredibly good! 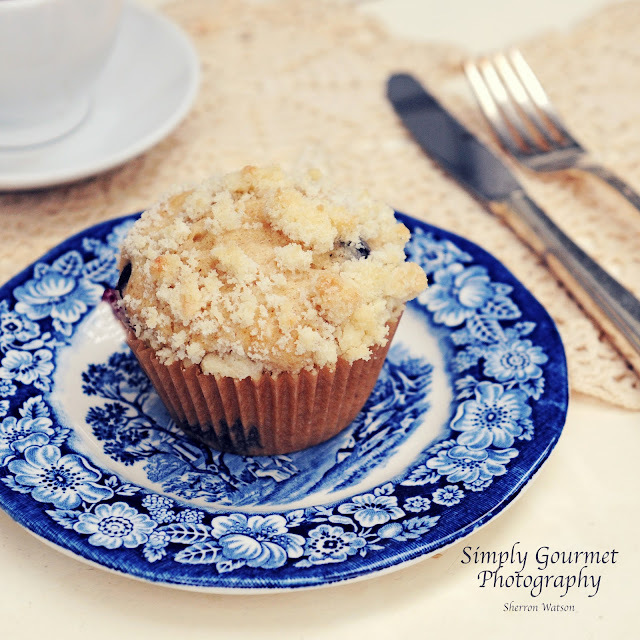 I will have to say that these are the best blueberry muffins I have ever had. Both versions turned out very nice, the flavor of blueberry was right there in every bite. My final thought would be, eat your blueberries. They are very good for you! Tiffany you should, we have so much fun! Thank you too for stopping buy and the compliment. The blueberry heart is adorable, love your photos! Can't wait for next week's post. Thank you Ellen. 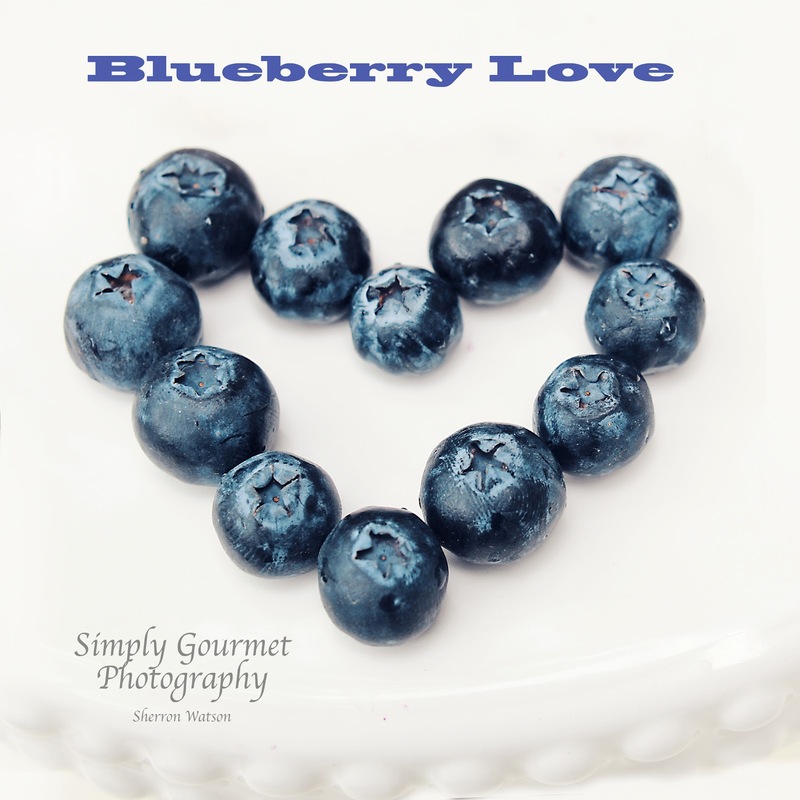 I love how when you start taking pictures an idea just comes together, I threw some blueberries on the cake plate and it sort of formed a heart…and I ran with it! I thought it turned out pretty good too. A picture really is worth a thousand words great pics making me hungry!